DCU Student Hub – Duggan Brothers Ltd.
Duggan Brothers were the main contractors in the DCU HUB building. 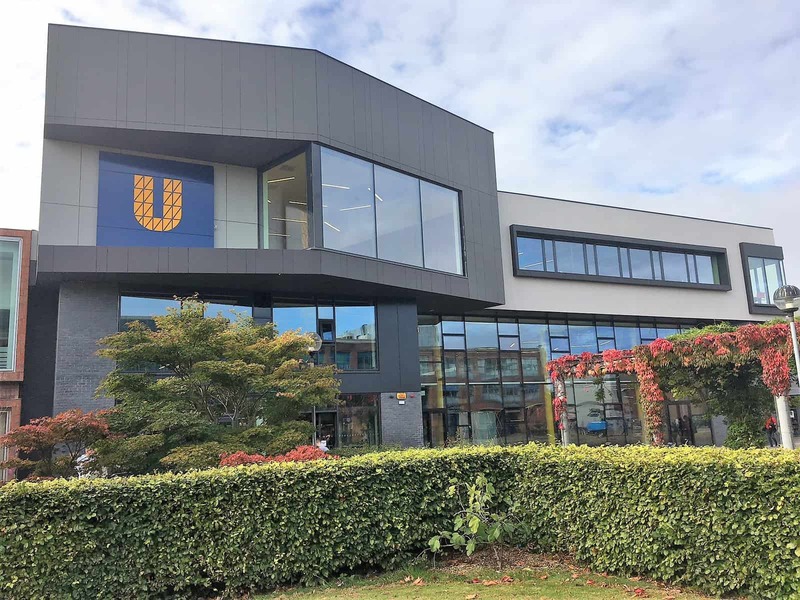 A complex and significant addition to the DCU Glasnevin campus to cater for future student growth and to give the student union a home befitting its status as the fulcrum of student life. 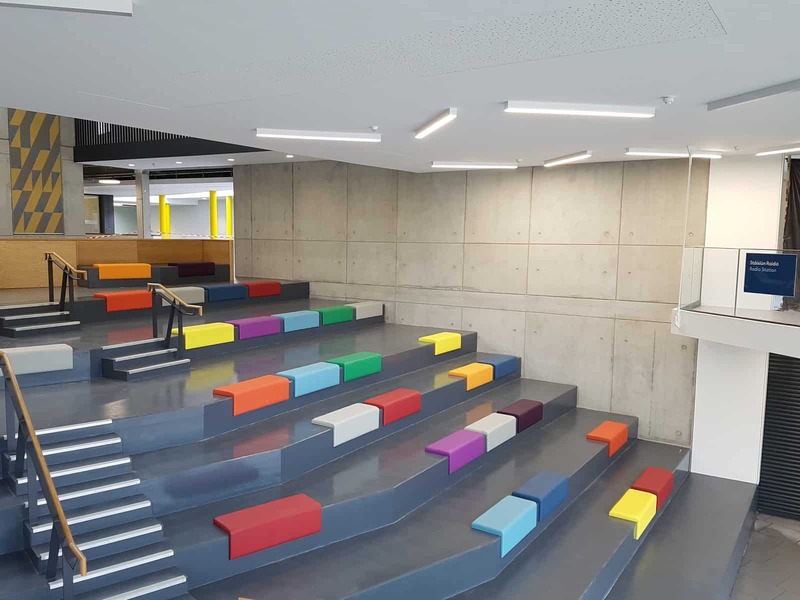 The project required multiple work phases, work within a live campus and the complexity of maintaining business as usual operations in the existing building for the duration of the build. The project comprised a 3,550sqm, 3 story hybrid steel and fair face concrete extension with a further 2645sqm of refurbishment to the existing HUB building, the works totaling 6195sqm respectively. 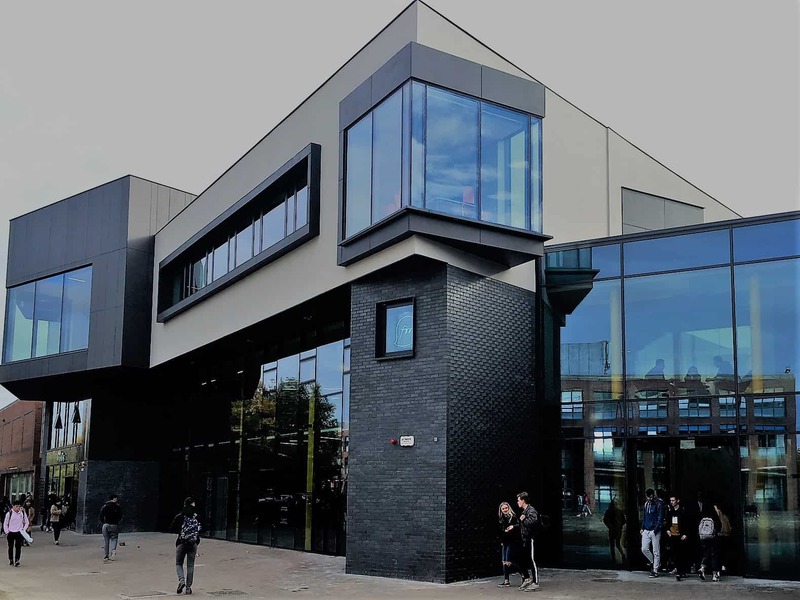 The external envelope required careful co-ordination of a variety of building materials and glazing systems on a confined site including tying into 3 operational buildings with only minimal building tolerances allowed for in the design. The building brief required the creation of a central auditorium which went from ground to first, opening up as an atrium on the second floor organised around a large span printed steel truss element. The Main structure of the building includes Structural Steel, Precast Concrete, and High-end Special class in-situ-Concrete finish and brick/block work, Cladding, Glazing / Façade Works. 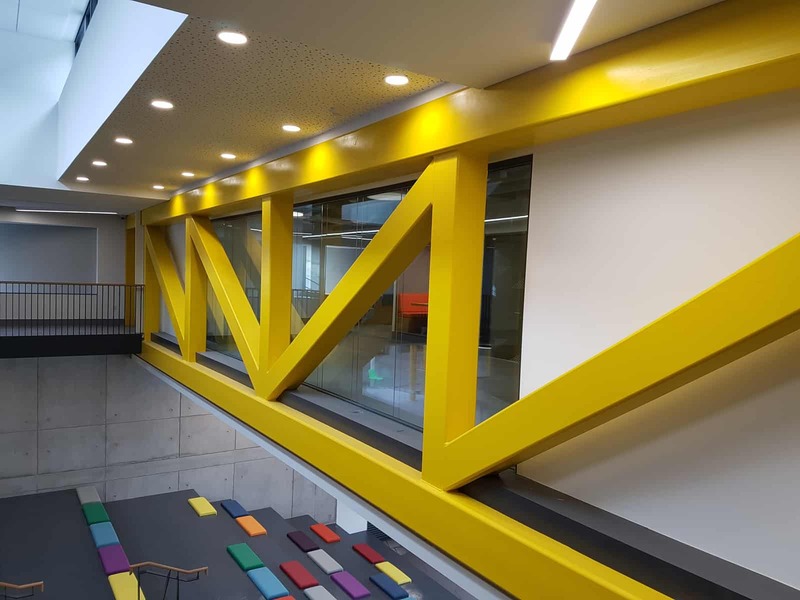 The fit-out element included extensive M&E, Lift installation, floors, stud and glazed partitions, suspended ceilings, built in furniture and fixtures and fittings. 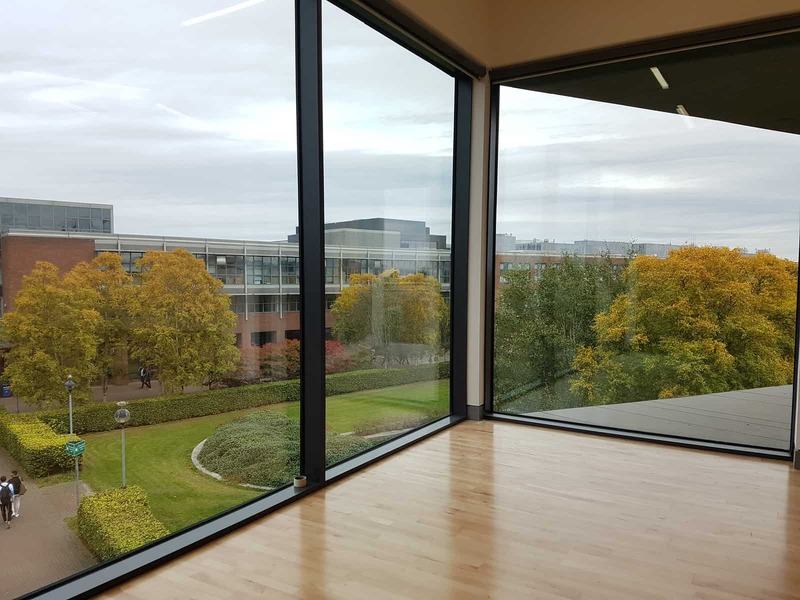 The design required that the primary structural elements were exposed, the quality and workmanship delivered by Duggan allowed this design intent to be realised in the completed building. A two story central atrium (internal street) which separated the new build from the existing building required careful consideration for the duration of the build, as the existing building functions which included the student bar, print shop, student union offices, convenience store, bookshop and hairdressers were required to be maintained operational for the duration of the build. Works in this confined central atrium included demolitions structural alterations and glazing enhancements, the works in this area require out of sequence and out of hours works all of which had to be carefully co-ordinated with the relevant stakeholders.